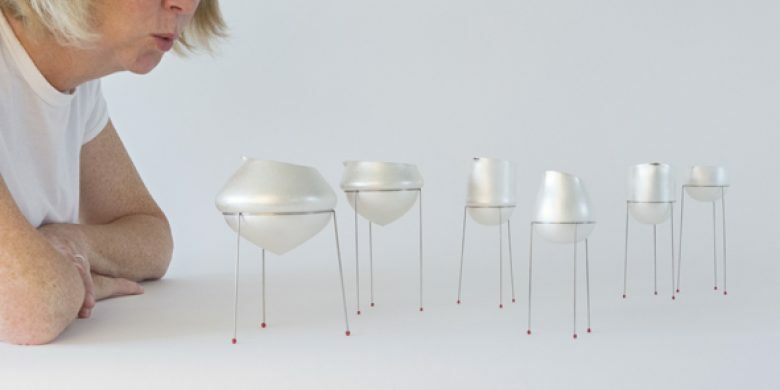 Member Adi Toch has been chosen by Contemporary Applied Arts to create a bespoke installation. Receptive Vessels is a new body of work developed for Collect Spotlight and presented by Contemporary Applied Arts Gallery. The installation of ten vessels on stilts explores the relationship between the spectator and a potentially sentient object through a sensitive and surprising interaction. The viewers are encouraged to speak or even sing – in order to trigger the vessels’ reaction through gentle movement and sound. It suggests a playful interpretation of museum displays, an experience that is an antidote to the traditionally hushed gallery environment.